I'm not saying its not possible but there's nothing out there that will just bolt up. You could always have something made. If I ever need more downforce than my MtechII provides (e30) i have a spare trunk lid that I would put a cheap huge adjustable aluminum wing and swap it on for track days. But the MtechII did a surprisingly good job in controlling the 'wallow" from the rear end at high speed. You could always have something made. I would, but it will probably cost more. In regards to down force I don't really need it for going fast. I just have a build in mind which can't do without it asthetically. Anything other than "somewhat functional" will be ghetto, IMO. Gotta pay to play for stuff like this. Seems to be bmw's moto. 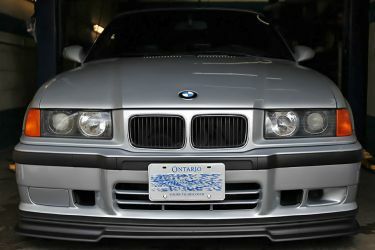 ive got one 4 sale for an e36 coupe in cf. make me an offer. Hey Zimmie, I PM'ed you. Just like that! Zimmie to the rescue! !